As promised, I've got a little Friday escape for us. Ready? 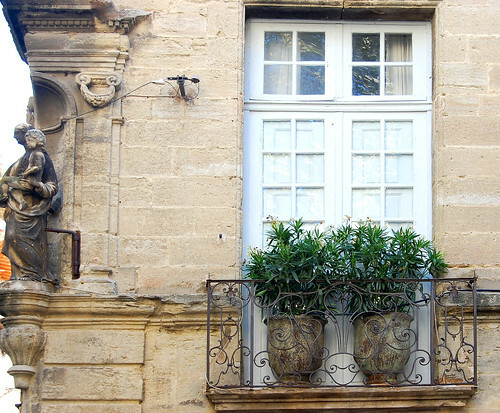 So, I've always wanted to go to the south of France...I mean, who doesn't? 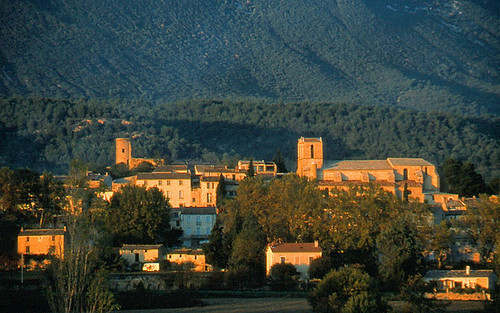 Rolling fields of lavender, fabulous French cuisine, fantastic wine and the warm, golden light of the countryside. Sounds pretty perfect to me. So today, that's where we are headed. I found us a tranquil estate just outside the little town of Cucuron. Welcome to the Le Pavillon de Galon - a beautifully restored 18th century hunting pavilion, turned B & B, surrounded by vines, orchards, cherry and olive trees. Ahhh...do you smell all that lavender? The gardens are simply superb...look at this field of irises! Let's head inside and check out our room...there are only two guest rooms on the property so you feel like you own the place! Lovely...let's go check out the kitchen! Ahh...the perfect spot. Let's picnic under these beautiful trees and enjoy the fragrant breeze. Oh. That rhymes...hee hee. 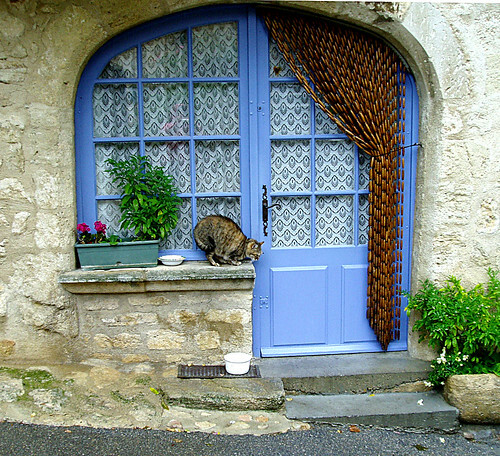 How charming is this blue door? So pretty! 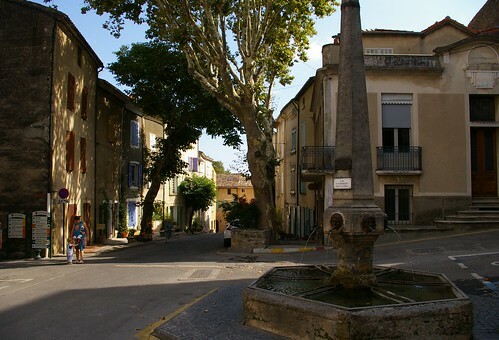 In the center of town there is this pond (Bassin de l'etang) that dates back to the 14th century. 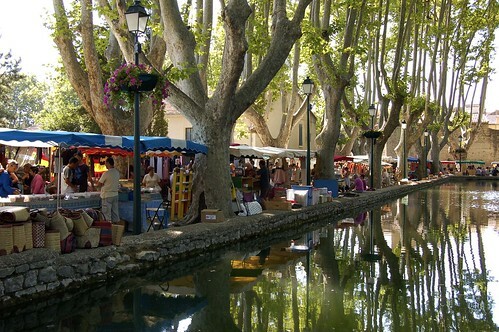 It was used to supply water to a mill but now is the backdrop for many of the villages' events including a regular Market held every Tuesday morning. Okay, well...we better head back for some R & R before dinner...I think a nap by the pool would do nicely. Yes, there's even an infinity pool at this place. 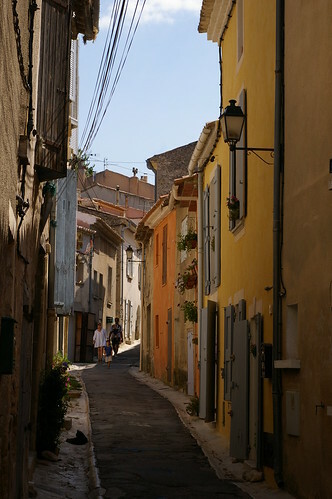 That concludes our little Friday escape to Provence. Hope you enjoyed it and thanks for coming along.